Are you giving yourself breathing room to be successful? 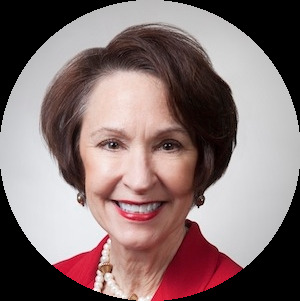 Ellen Adair Wyche, strategic development consultant for Atlanta Hospital Hospitality House, shares why women leaders who want to be successful need to learn when to say no. Watch the video to learn more from Ellen about how to be strategic in what you say yes and no to. I think one of the most vital things that women can do to set themselves up for success in their career is to know when to say no. That doesn’t mean that you are always giving push back. What it does mean is that don’t make yourself indispensable on the tactical level. Be strategic. Think about what are your highest and best talents? How can you say yes, to opportunities that are going to give you the chance to learn and grow, and to truly deliver in an effective way? You really don’t necessarily want to be the person who raises their hand every time a detail needs handling. You want to be more strategic. It’s every bit as important to know when to say no as it is to know when to say yes. Saying yes to those opportunities that are going to give you an opportunity to grow, and to learn, and to demonstrate your innate abilities. Saying no to those opportunities that may stretch you to a point where you can’t deliver on what you’ve promised. So being pragmatic about how you define where your boundaries are is a very important quality for young women to create and develop early in their professional career because it’s what is going to give you the breathing room to do well what really makes the highest and best use of your talents.